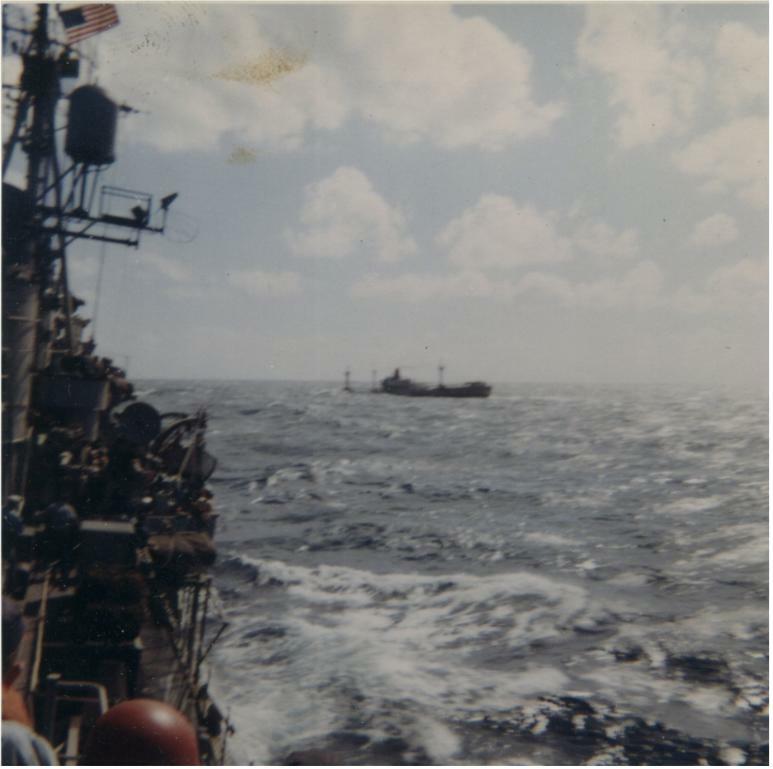 This took place in late spring 1962. We had just left Hong Kong after spending 60 days as “Station Ship” for the US Embassy there. Normally a US Ship only spends 30-days as station ship however our relief ship couldn’t make it and we were assigned an additional 30-days station ship duty. 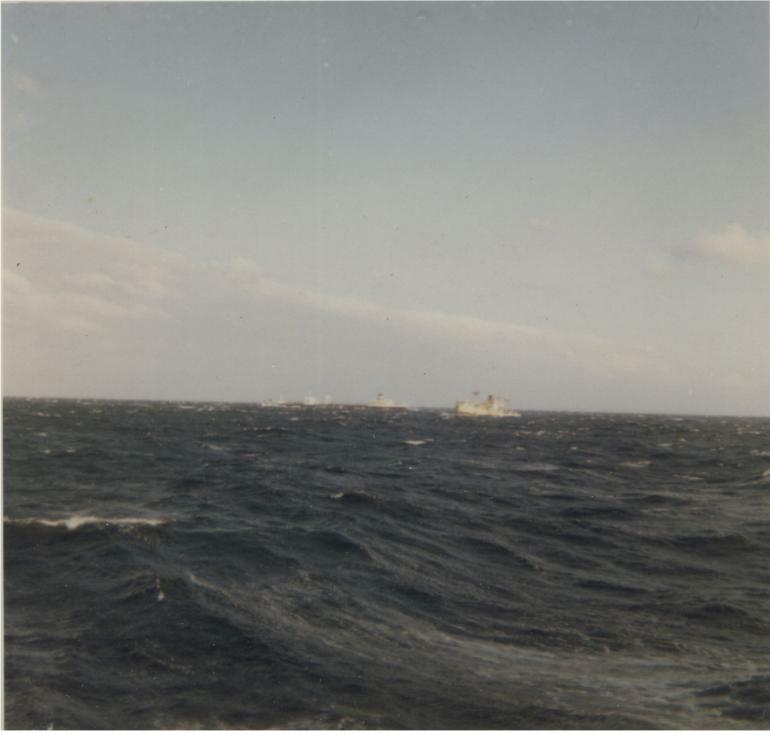 About noon the day we left from Hong Kong, a freighter of Greek registry sent a distress signal. They were somewhere between Hong Kong and Manila, Philippines. We responded and arrived shortly afterwards. There were several smaller vessels already in the area. Our ship took charge of the situation and rescued the crewmembers. I took several photos as we arrived. I had the 4 to 8-watch in the forward engine room and did not take any more photos. 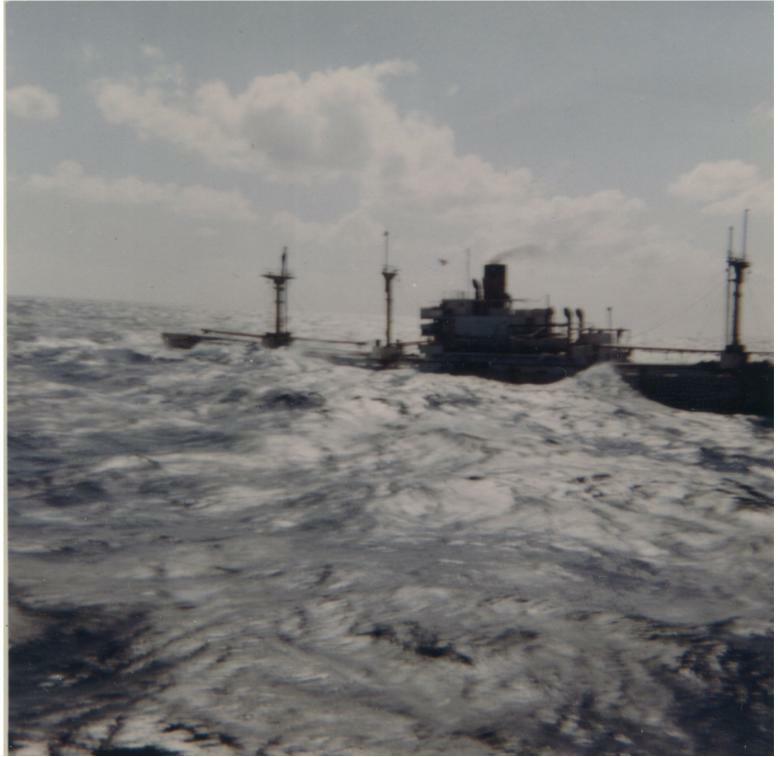 The freighter’s holds were filled with magnesium. 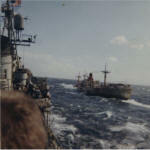 The entire freighter’s crew was transferred to the Stoddard. 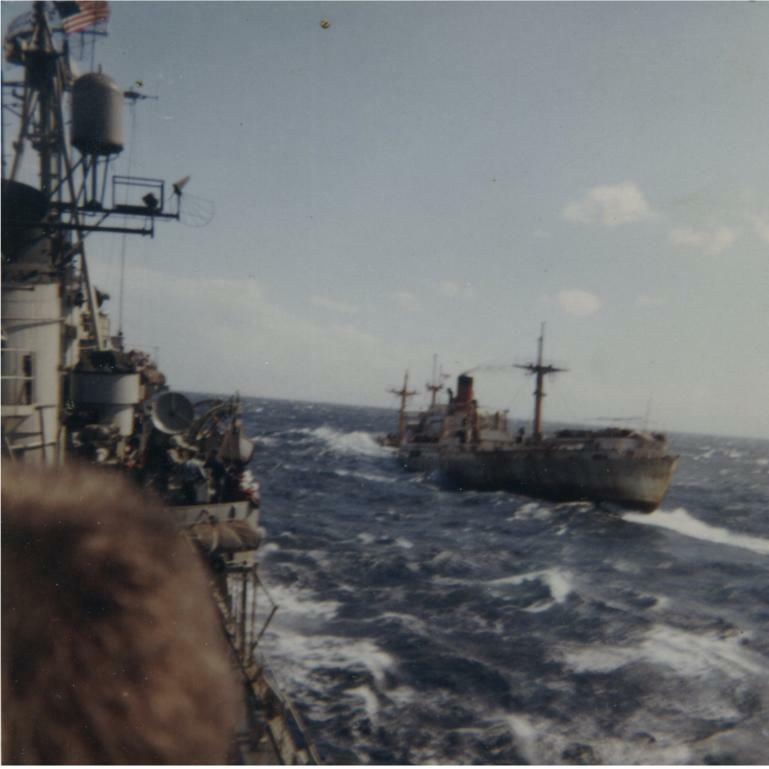 With the crew off the freighter it became floating derelict in the shipping lanes. 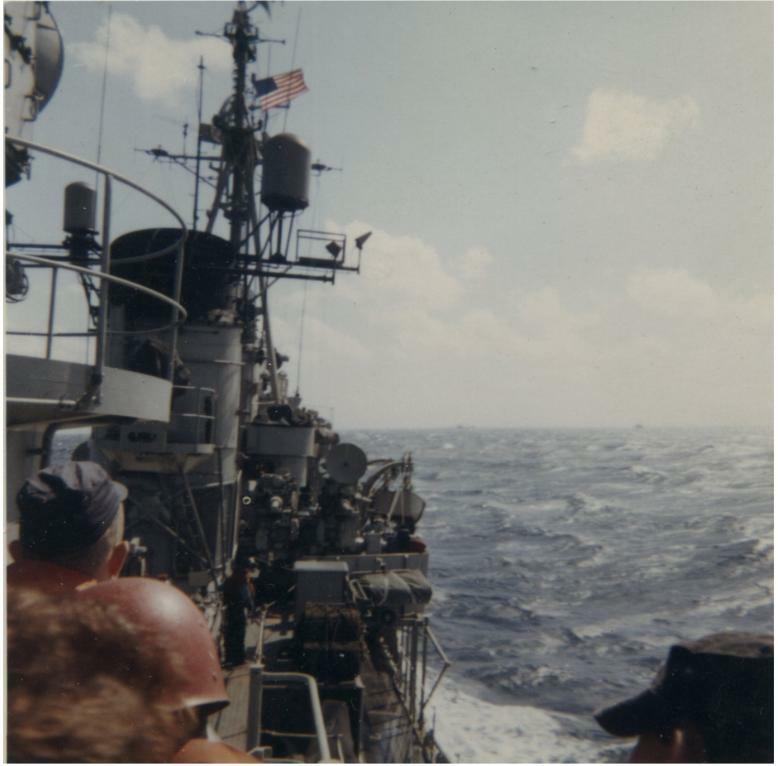 Commander J.R. Collier requested permission to torpedo the freighter to rid the shipping lane of this hazard. 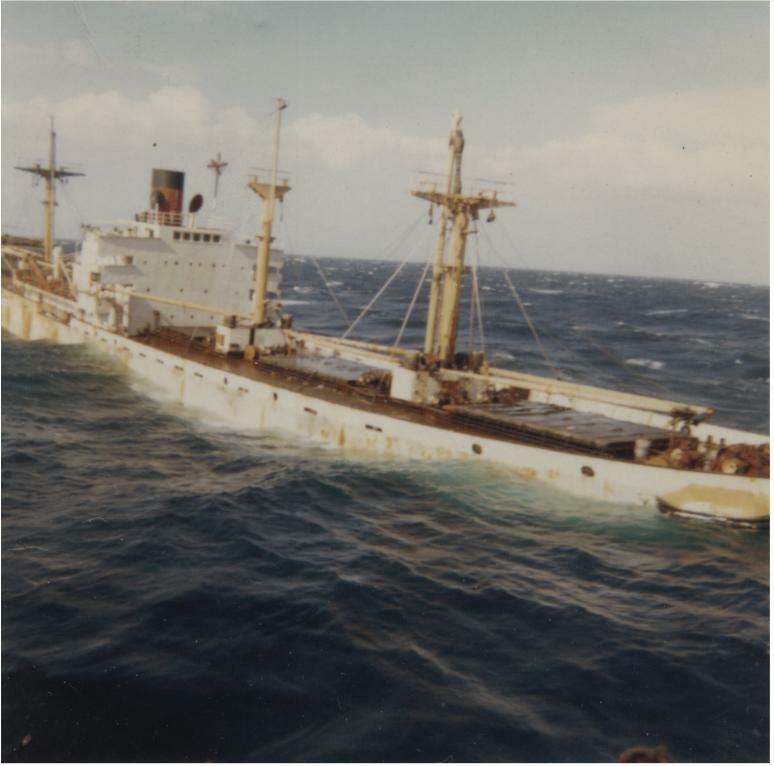 Just after sunset and before permission was granted the freighter sank on its own. We transported the freighter’s crew to Manila.